The woman who accused GOP Senate candidate Roy Moore of sexually abusing her at age 16 said Friday that she deeply regrets voting for President Trump. 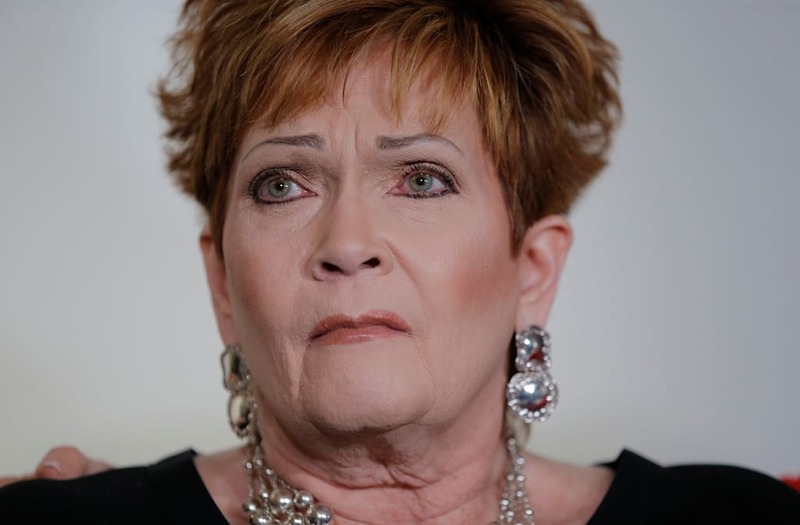 Beverly Young Nelson expressed her disappointment over the White House’s continued support of Moore despite allegations from eight women about his aberrant behavior. “President Trump has chosen to support a powerful politician like Mr. Moore over women like me, who accused Roy Moore of preying on them,” the Republican voter told an Atlanta news conference. She’s one of six women who were underage at the time of the reported incidents — with the youngest asserting she was just 14 when a 32-year-old Moore groped her inside his home. With the Alabama Senate race vote set for this coming Tuesday, Trump took to Twitter again Friday to reiterate his support for the accused child molester. “VOTE ROY MOORE!” tweeted Trump, who also scheduled a “Make America Great Again” rally in Pensacola, Fla. — near the Alabama border. The appearance set to air on Alabama television stations was widely viewed as a backdoor boost for the Moore campaign without the President actually traveling to the state. The 70-year-old Moore, in a tight race against Democrat Doug Jones, tweeted his thanks to Trump for the endorsement. Nelson was joined by her attorney Gloria Allred at an Atlanta news conference where they announced a handwriting expert had confirmed the signature in the accuser’s high school yearbook was indeed done by Roy Moore. “We are very happy to announce this important expert opinion regarding Beverly’s yearbook,” said Allread. Nelson addressed the threats made against her over the last month since she leveled the allegations, with one unidentified person even sending her a photo of a casket. None of it was enough to quiet the now 55-year-old woman about what happened 41 years ago, when she was a beauty pageant contestant. “I still have some fear, but I refuse to be intimidated into silence to to retract anything that I have said,” declared Nelson.